A classic combination. The base of my favorite summer dessert, which is also the simplest. It involves firing up the grill, rubbing down super-ripe peaches with a little bit of olive oil (yes, olive, not vegetable), grilling them until slightly charred, and topping them with various versions of cream: plain whipped cream, almond whipped, rosemary or basil-infused cream, melting ice cream, whatever. Then, I like to sprinkle them with crumbled gingersnaps. And that’s it. I can end the post here. It takes 10 minutes, and it enhances peaches enough without transforming them. And that’s what summer cooking should be about — taking fruit and veg and working with them minimally. It’s so nice to be able to appreciate the season’s bounty for what it is: sun-ripened and sweet with a tart edge. Well, in this dessert, I trashed that sensibility completely. I took perfectly delicious peaches and did transform them. Entirely. They became unfamiliar. But the main concept stayed the same, really. Peaches, cream, and ginger are all still involved. Let me cut to the chase for a change. It’s an icebox cake. But not your mama’s. There are no graham crackers, no chocolate wafers, and no “whipped topping.” I would make something so simple, so crowd-pleasing so damn complicated. I wanted to have a little fun. 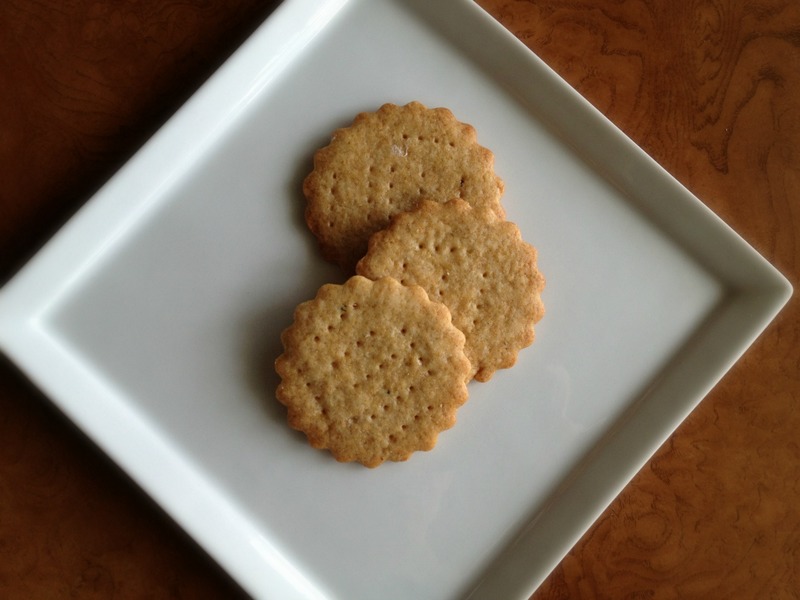 Homemade ginger-black pepper wafers. Peach caramel. Mascarpone whipped cream. Slow-roasted peaches. I’ve alluded to this cookie before. It took me all summer to figure it out. It needed to have the right structure and texture; I wanted it thin and level, but the crumb couldn’t be too compact as it would be gummy, not fluffy, when it soaked up the cream, and it wouldn’t swell. Although I wasn’t looking for toothbreaking, I needed to employ some tricks to make sure it was super crunchy, which meant it had to dry out completely. It needed to have a clean, spicy (not dusty) flavor that wasn’t muddled by other warming spices. 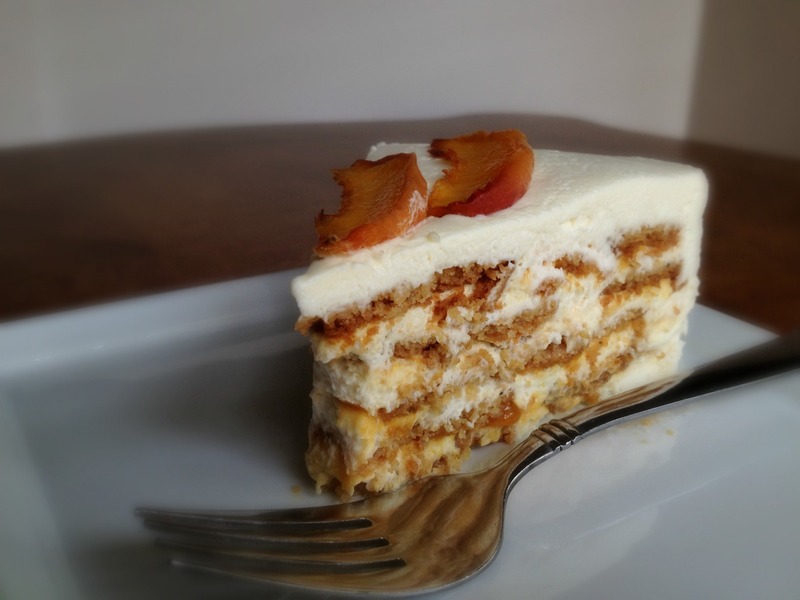 It couldn’t get lost under layers of tangy mascarpone and cream cheese whipped cream and peach caramel, but it also couldn’t overshadow the fruit flavor of the peach. It was a monstrosity, really, and I only got to test it once every weekend, so the process was mighty prolonged. And for what? For a wee little celebration. I love celebrations — attending them, planning them to the last detail — but I’m not one for self-celebration. For birthdays or real anniversaries. 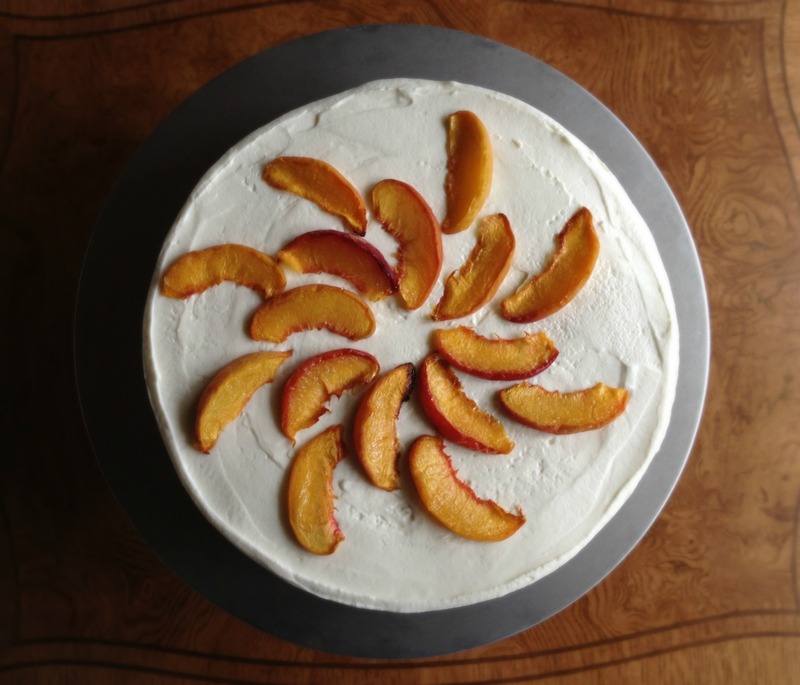 I always feel compelled to make you a 3-layer cake with all the fixings on your big day or take you out for dinner and drinks to celebrate your new job, or send you homemade jam when you get engaged. But I have trouble when the spotlight is on me. Well my “1-year” was yesterday. I guess my relationship with this blog has been just that: a relationship. Rocky, but important. Constant. An escape. I’ve chewed my better half’s ear off, filling it with text that has covered such silly musings like this to things that felt better written down. On that note, it’s also been a cheap therapist. But really, what’s a year? I should have started a food blog much earlier than I did. I’ve enjoyed experimenting in the kitchen and putting food to words for years, yet the thought of sharing made me feel too bare. I had written food material, but it was in the voice of others. It wasn’t in my sometimes moody, sometimes dramatic, overly-excited-about-the-seasonal-fruit-du-jour voice. Or voices, I should say. Screw convention; although you will always know when I have written something, I say it’s not a sin to write in different voices. Life and mood dictate voice. So in a sense, I didn’t spend my summer making this monstrosity for me. I couldn’t have. I made it for this blog. And for you. If you choose to tackle it — everything can be done in advance and in stages — you can take a piece of this blog with you to end the summer. To say goodbye to peaches, while also bastardizing them. Have fun! Icebox cakes are supposed to be shortcuts; this, admittedly, is not. In fact, it might take more patience than a regular layer cake. But, I promise, it is worth it. It’s a little whimsical and a lot of good. These cookies absorb the cream and expand to become wonderfully spicy cake layers, that feel fluffy, not soggy on the tongue. The peppery, almost savory bite of the cookies plays very nicely with the bright, tangy peach caramel and the lightly sweetened cream. It slices (and eats) just like a layer cake. The cake is assembled using a 9-inch springform pan. The base of my pan is ugly as all sin, so I used the ring as the mold and assembled and stored my cake right on the cake stand, set on top of a parchment-covered cake round. If your base is not ugly, you can just use that. I do not recommend using a regular cake ring in place of a springform one. Center oven racks in the lower- and upper-middle positions. Preheat oven to 350 degrees F.
Working with 1 disk at a time, roll dough to 1/8 inch thick. (I like to incorporate as little additional flour as possible while rolling. Since the dough is soft, you may find it easier to roll between two pieces of parchment paper. You can pull the dough in and out of the refrigerator or freezer to help you along if your kitchen is as hot as mine.) Using a 2 1/4-inch round cookie or biscuit cutter, cut out cookies. (Avoid re-rolling dough as it will make the cookies tough.) Poke tops of cookies with tines of fork. Hold cut cookies in the refrigerator and repeat with remaining dough. Place rounds, spaced 1 inch apart, on parchment-lined baking sheets. Bake cookies for 10-12 minutes, switching and rotating pans halfway through baking, until bottoms and edges have browned and tops are golden (a nice wheat color). Cookies must be cooked until golden in order to completely dry out. Transfer cookies to wire rack to cool. If, after cooling you find cookies still are not hard, return to oven for a minute or to until they reach the proper doneness; cool again. Makes about 60 cookies. In bowl of food processor, puree peaches with salt until smooth. Empty into a heatproof measuring cup. You should have 1 cup of puree. (You need 1 cup for the recipe.) Set aside. Gently stir to combine sugar, water, and corn syrup in large, heavy-bottomed saucepan, making sure not to splash sides. Place over medium-high heat and cook, without stirring until rapidly-popping bubbles form. Turn heat to medium and continue to cook until caramel takes on golden blonde color. At this point, swirl the pan gently, so the caramel cooks evenly. Cook until caramel becomes dark amber in color. (As I’ve said before, the darker the color, the deeper the flavor. Do not be afraid to bring it to “the pre-burnt” stage, as some bitterness tempers all the sweetness of the sugar combined with the peaches.) Take caramel off heat and add peach puree and lemon juice; whisk to combine. Add butter and whisk until melted. 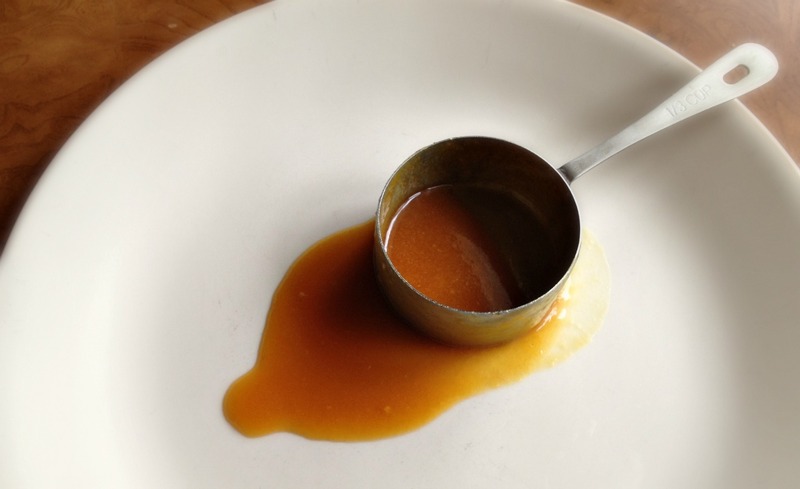 If caramel seizes at all, stir with wooden spoon over low heat until fully melted. Transfer back to glass measuring cup and whisk one last time. Cool to room temperature, cover with plastic wrap, and store in refrigerator for at least 4 hours and up to 1 day. Caramel will thicken in refrigerator. 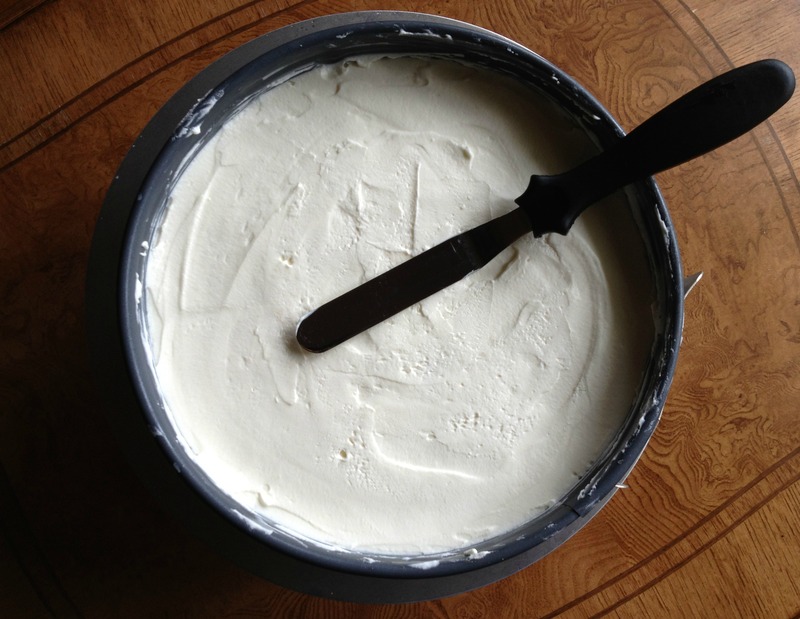 Combine cream cheese, mascarpone, sugar, and salt in bowl of stand mixer. Using whisk attachment, whip on medium-high speed until light and fluffy, 1-2 minutes. Reduce speed to medium low and gradually pour in heavy cream. Once heavy cream is added, increase speed to medium high and whip just until cream reaches stiff peaks. Make circle on bottom of springform pan with 8 cookies. They should touch. This will leave you with 1/4-1/2 inch of space between the pan and cookies. (This is good). Fill middle of circle in with cookies, breaking to fit (I used 4). Once cookies are in place, pick each one up and spread the bottom with dollop of cream (about 1 tbsp) to make base. Using a small offset spatula, evenly spread about 3/4 cup of cream on top of the cookies, all the way to sides of pan, to create layer. Drizzle about 1/3 cup of peach caramel on top of cream layer, leaving about 1/2 inch border around edge and smoothing it out with spatula. Cover with another layer of cookies. Repeat until you have 5 layers of cookies total. Top with remaining cream, saving small portion (2 tbsp-1/4 cup will do), for touchups. (You should have more on top than you did between the layers.) Cover with plastic wrap and refrigerate overnight so cookies can soften. Preheat oven to 300 degrees. Line baking sheet with aluminum foil. 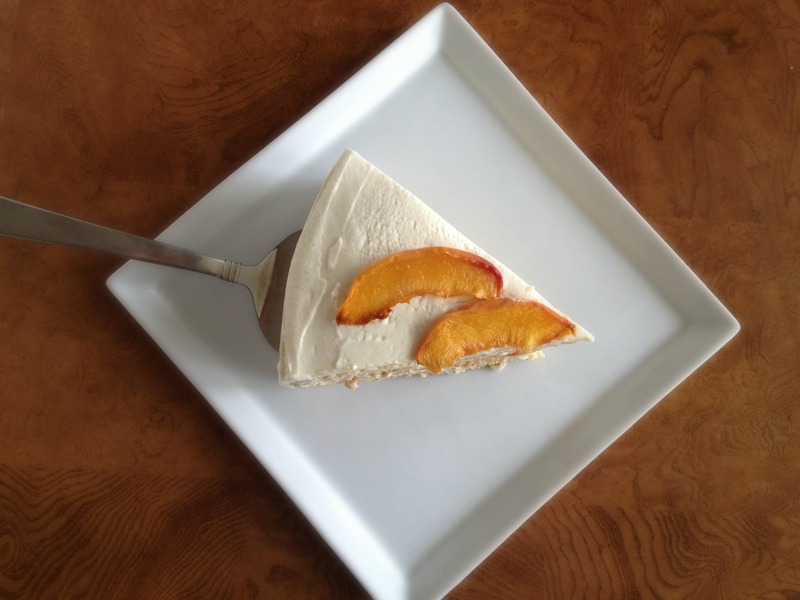 Using a paring knife, cut peaches in half. Remove pits and slice peaches into 1/4-1/2-inch slices. Lightly grease aluminum foil with vegetable oil and toss peaches with light drizzle of honey (no more—they don’t need any sweetness). 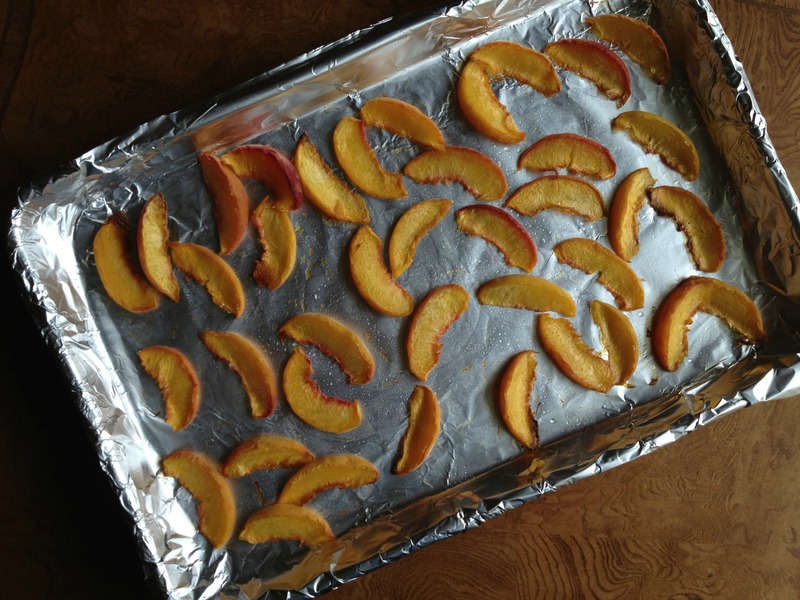 Space peach slices evenly on sheet pan. Slow roast peaches in oven until both sides are dry when touched (but not shriveled), about 1 hour. Flip peach slices halfway through cooking. Transfer peaches to a wire rack to cool completely. Run thin knife (a boning knife works great here) around pan to separate edges of cake from sides. Release springform pan ring. Using small offset spatula, smooth the sides and cover any exposed cookie with remaining cream. 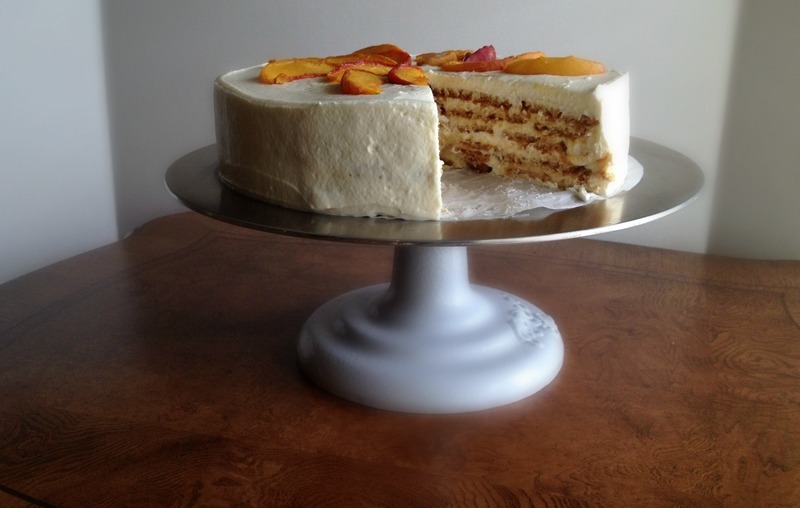 Top cake decoratively with peach slices. Slice and serve cake with no other accompaniment than a cup of tea. This sounds absolutely delicious! I don’t know a lot about ice box cakes (I think it’s a slightly more American thing, but maybe just not on my radar!) but I love the idea of all that creamy filling, crunchy biscuit and peachy caramel – a heavenly summer combination! I always thought it was an American thing, too. To my surprise, it looks like it might actually be more of an Australian thing. Who knew?! There, it’s called a ripple cake; in the UK, it’s a zebra cake (??). This cake sounds astounding. True, it would take a bit of time to get there, but I’m very tempted to make each of its components on a separate day and then bring it altogether. Or, just eat each of them the day of its creation. We’ll see. I’m glad you like the cake. As I read this, I was thinking about how fun it would be to do “cookies and dip.” That would certainly be a time-saver! 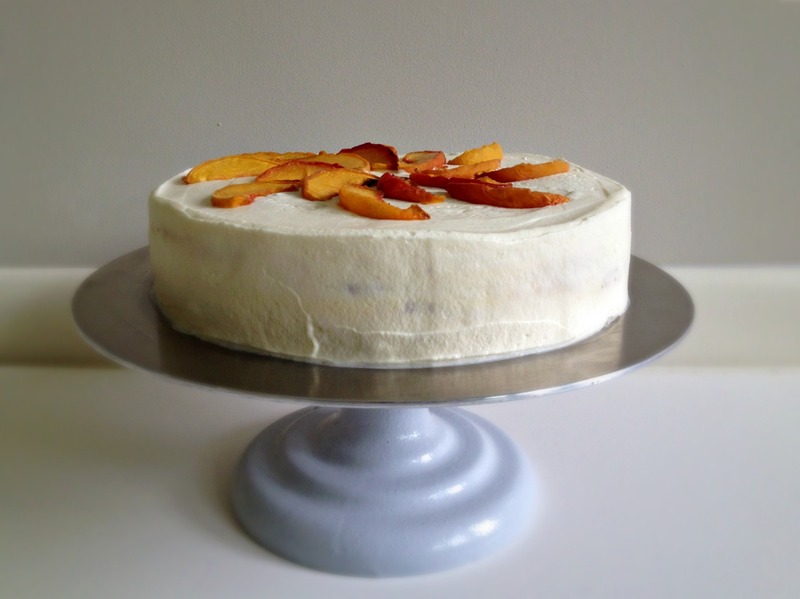 I’m making myself that peach cake from Cook’s Illustrated for my birthday. I like to throw myself celebrations, however, I tend to make a lot of stuff for everyone else in doing so….big BBQ, cake, etc. This year, I’m letting my brother-in-law make his famous jambalaya so I don’t have to cook at least one night we’re on vacation, but I’m still making the cake. Thanks! Mmm, jambalaya and peach cake. Sounds like it will be a delicious birthday! Have a great vacation. looks beautifully delicious! happy one year blogversary! Congratulations on one year! This is quite a delicious way to celebrate! Thanks, Megan. Too bad layers of cream aren’t train friendly :). 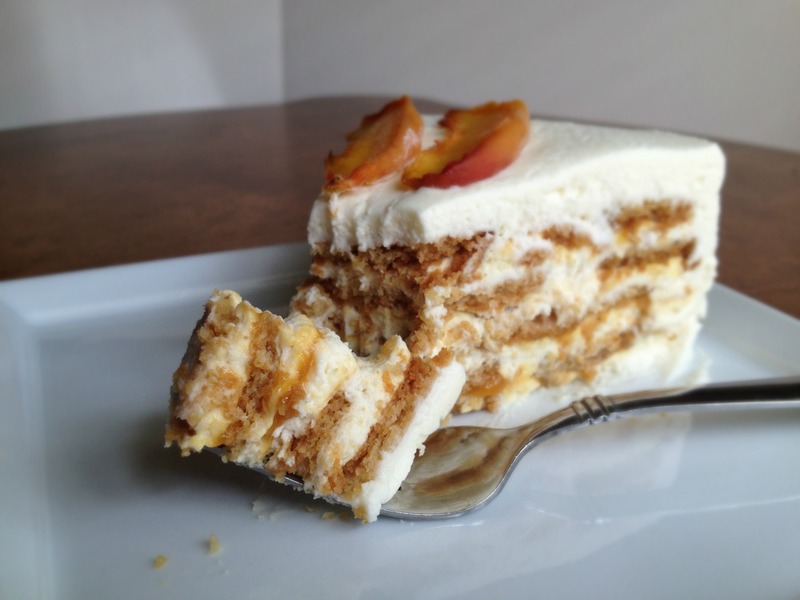 This is so gorgeous – I’ve never made an icebox cake and especially love that you made the cookies yourself. That’s the way to do it! Also, congratulations on making it through your first year of blogging. I think when you make it that far, you can tell you’re committed – and good thing, because you’ve got some great stuff going on here! Thanks so much, I definitely enjoy doing it! I have no words. This first of all, sounds amazing, in terms of all the flavors and components, and I’m just so impressed- it’s so imaginative. Aaaand, I’d love to eat it. Thanks, Elizabeth–I could go for a slice right about now! I hope all is well in New York. PS – I am so happy to have finally met you last night! umm, next time you make this, let me know, i’d be happy to help you eat it!! this looks so absolutely amazing i wish i hadn’t finished all my peaches last night :) what a FABULOUS way to celebrate 1 year of blogging!! hope all is well!